Fabric Traditions makes playful fabrics, perfect for your sewing and quilting projects. Each Colored Print Fabric Bundle includes five, yard-long fabrics all in a monochromatic patterned theme. The 100% cotton fabric incorporates shimmer and other effects to result in unique and beautiful creations. I especially like the contrast of prints with the different colors. Each bundle includes the same prints, but in a color to match the bundle. There is a mix of floral patterns, along with more abstract ones. My favorite in the bundle has a dragonfly print. The colors in each bundle are truly striking. I like that all four color bundles includes the same prints, but in different colors with different hues. I especially like the different shades of color in each bundle. This makes for interesting quilts and patchwork. This fabric is 100% cotton and very lightweight. 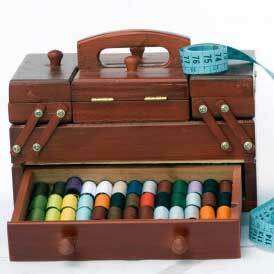 It is ideal for making wearables, quilts, and home goods, alike. It is easy to work with and the project ideas are truly endless!